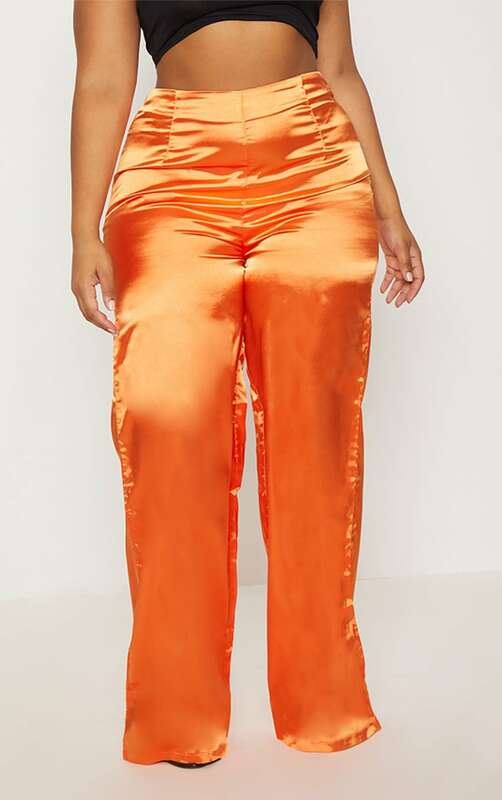 Girl make a statement in the wide-leg trousers. 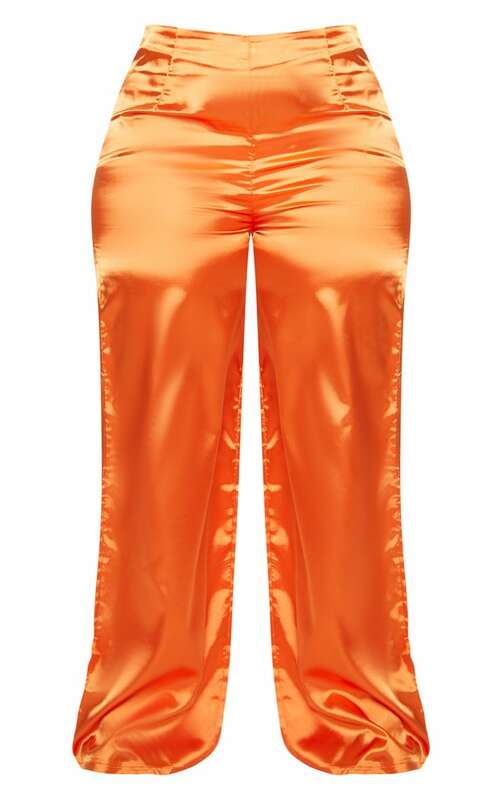 Featuring an orange satin material with a zip fastening and a wide-leg fit. Style these trousers with a crop top, the matching duster jacket and strappy heels for a look that will get you noticed this weekend.